Garden of Eatin', located in Great Bend, is a collaboration of community volunteers and agencies interested in providing food for the needy, as well as members growing their own fruits and vegetables. A 3,600 sq. ft. communal garden produces food to supplement the needs of the local food bank, a homeless shelter, the Hungry Heart Soup Kitchen, Family Crisis Center, the Girls' Home and the Young Men's Home. 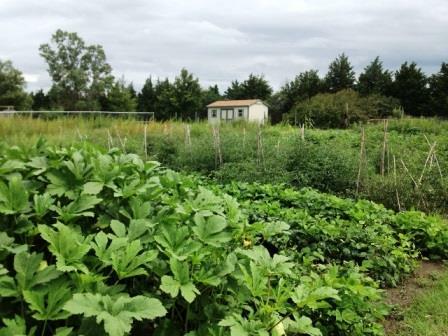 The allotment garden provide 126 individual plots available for rent by individuals and families. Grant funds were used to purchase a garden shed to store tools and garden equipment.